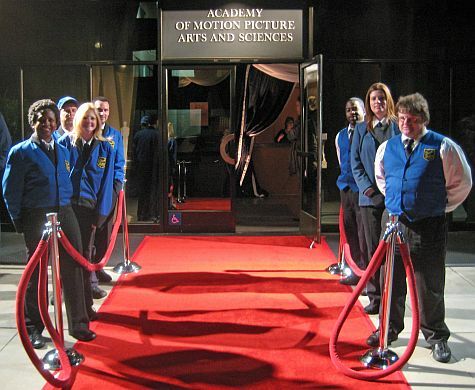 On February 20, 2009, Chuck's Parking Service provided valet parking for 200 guests at the Academy of Motion Picture Arts and Sciences building on Wilshire Blvd. in Beverly Hills. The event was to honor all nominees in a foreign films category. We worked with the City of Beverly Hills Police Department as well as Parking and Transportation office to coordinate a lane closure on Wilshire Blvd. for safe guest arrival.